5595 Kietzke Lane, Reno NV 89511 U.S.A. This is the first of many Lee & Associates- Reno blog posts highlighting all the latest and greatest in Reno, Carson City, Lake Tahoe and Northern Nevada. Reno, Nevada is undergoing significant economic development and it is showing no signs of stopping. With an increasing number of companies calling Reno ‘home’ and along with rising housing prices and rents, we predict a bright future for this Northern Nevada city. Last month, Carson City (and NDOT) opened the last leg of the I-580 freeway. The new freeway extension, which has been under construction since June 2015, gives travelers and commuters alike some space to breathe (and avoid Carson City congestion). While it is highly convenient, it is also important to note that this is the first highway connecting Reno and Nevada’s capital, Carson City. An estimated 43,000 vehicles are expected to utilize the bypass daily by 2023. Another tech startup, Alchemy, is calling Reno-Tahoe home! Our friendly business environment is highly attractive to tech startups and we expect this trend to continue. This is yet another victory in our city’s economic development. The startup is partnering with the University of Nevada and plans to double its employee count in the next three years. The company is investing in capital expenditures which will positively affect other businesses in the area as well. Amazon is on the search for a second headquarters…could Reno/Sparks be on their shortlist of locations? If they were to select this fine city, Amazon said they are looking to spend $5 Billion dollars on the construction and operation of their new headquarters, bringing in about 50,000 new full-time employees. 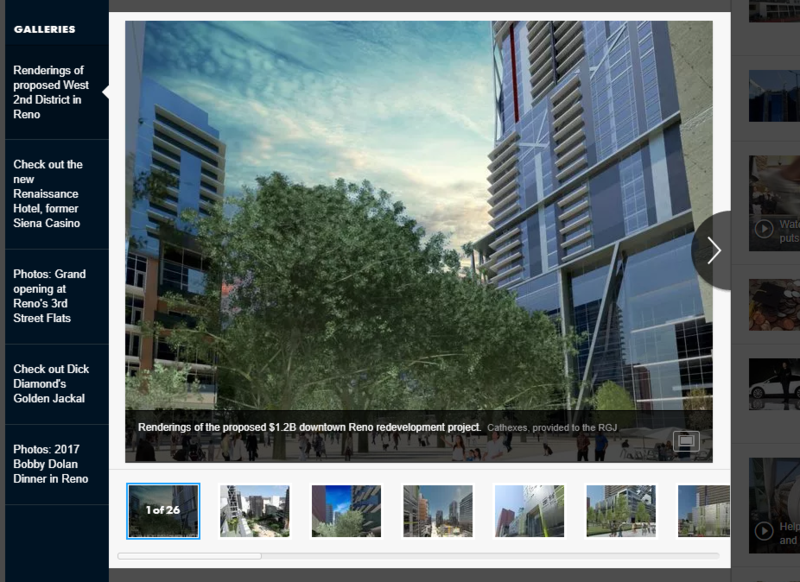 Rendering of Reno’s propose new West 2nd District are available on the Reno Gazette Journal website. We recommend taking a look.